Welcome to Diamond Sea ! 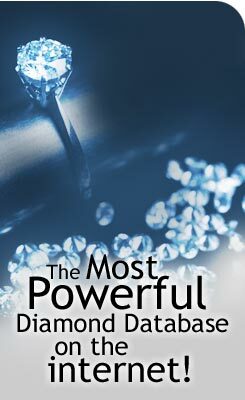 Diamond Sea is the most sophisticated system for selling diamonds available. With the Diamond Sea system, you can increase sales while decreasing the amount of work needed to complete each sale. Our primary service is our Diamond Search Engine. Our system allows multiple manufacturers/wholesalers to upload their inventory and select which retailers (or all of them) can access it. You can upload certificates, digital photos, and other reports which will flow through to all members' sites automatically. Retailers can select which suppliers' inventory they wish to carry in their store, and can assign custom markups at 35 different price points, either by-supplier, default markups, or both. When a suppliers' inventory list is updated, it is automatically updated at the same time in all retailers' systems so everything is kept current. Unlike other systems, ours is designed to be very customizable. You can easily change the look and feel of the search form, search results, diamond details and order pages to make it blend seamlessly into your new or existing store or web site. Diamond Sea is simple enough for your grandmother to use, safe enough for your customers to use, and powerful enough to run your business. We also provide a variety of services, from affordable custom web site design and hosting to consulting services. For a more detailed look at our products and services, please look at our SERVICES page. If you have any questions or concerns, you can reach me personally at brian@DiamondSea.com and I will be happy to help you.